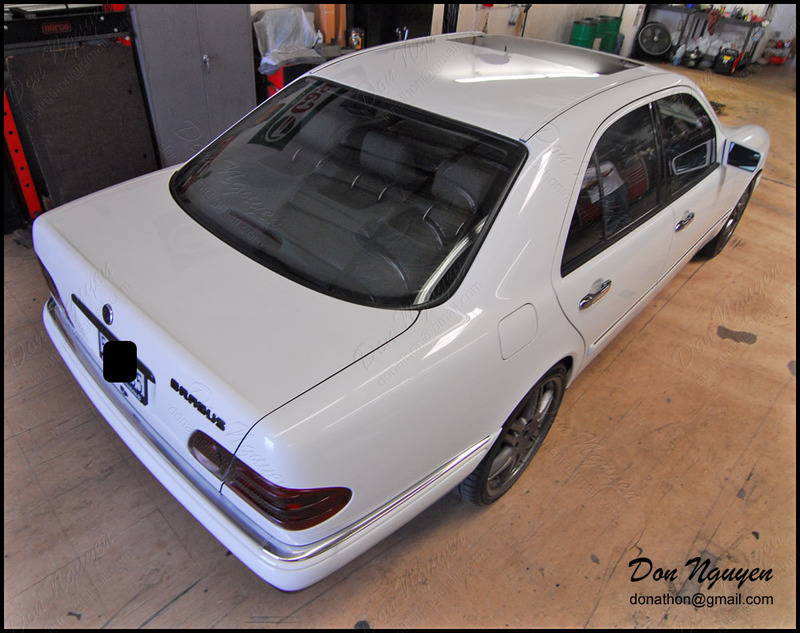 I typically do a lot of newer / brand new cars, but that doesn't mean I don't work on older cars as well. 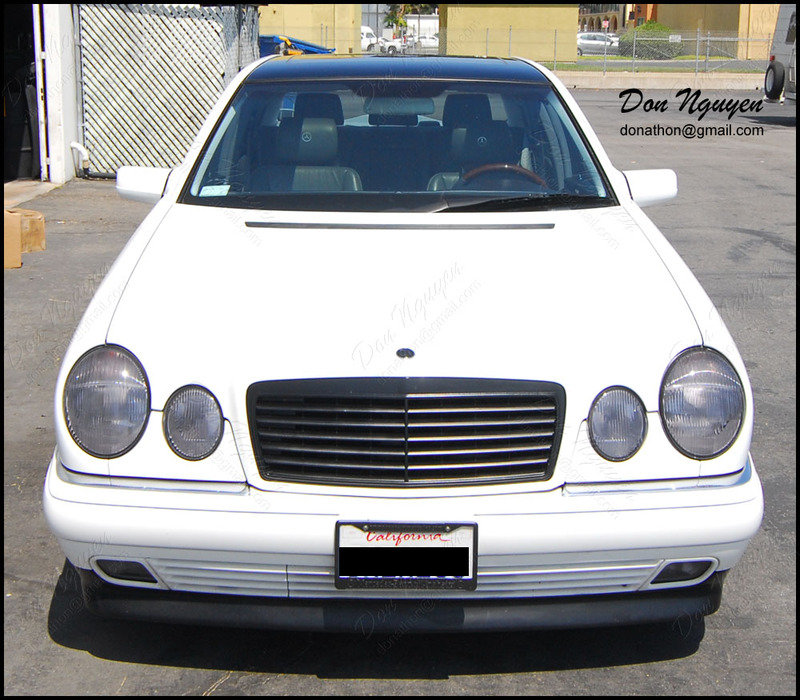 Here is a white Mercedes E500 that came by to have me vinyl wrap the roof of his car with my gloss black material. I had also tinted his lights previously, which you can also see in the pictures. The owner of this car drove from south Orange County to me in Anaheim Hills to get the work done. The black roof really gives the car a new updated look without going overboard in my opinion.